Enter your email address below to receive a notification when Call Number starts accepting new sign-ups! Enter your email address below to receive a notification when Call Number is accepting new sign-ups again. Subscriptions placed this month will ship by the 15th of next month. 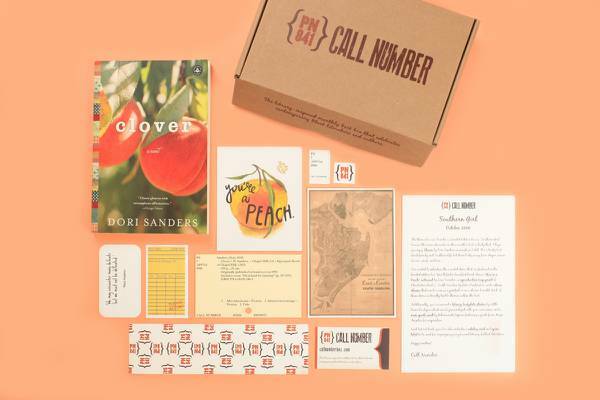 Call Number | Loving literature and libraries! 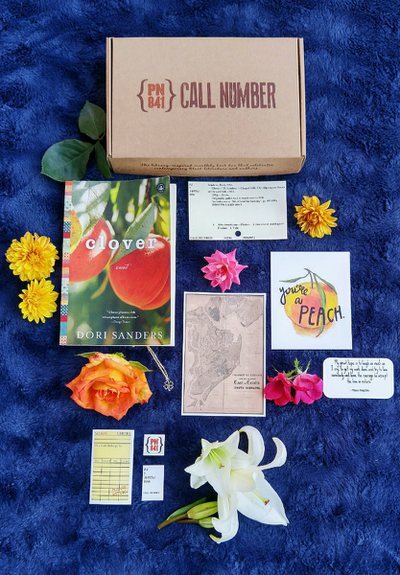 Call Number is a quarterly book subscription box highlighting Black literature. 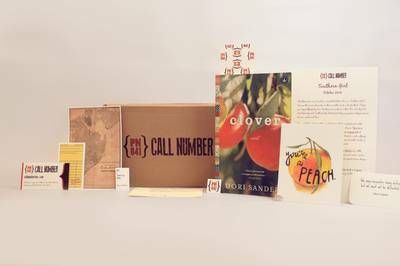 Curated by a librarian, this subscription service will help you build your own collection of quality Black literature. Every three months, you'll receive a box delivered to your door containing a newly released book along with 2-4 items related to themes in the book. 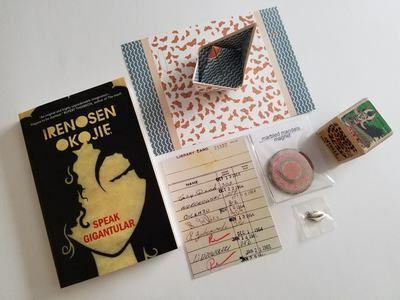 Mr. Read a Book a Day gave me this service as a gift and it is just that. I love having books delivered. I am one of those kinds of people who go to the book store or library for a book and get completely overwhelmed. With Call Number, I open the box and there is my book. Feels like I won a prize. I got my partner a three-month subscription to this Call Number for her birthday and we just decided to renew our subscription indefinitely. 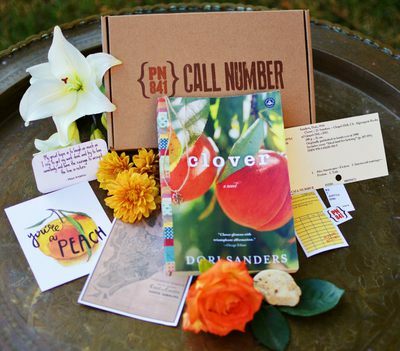 We love the thoughtfulness of these boxes, and we love the books in them. 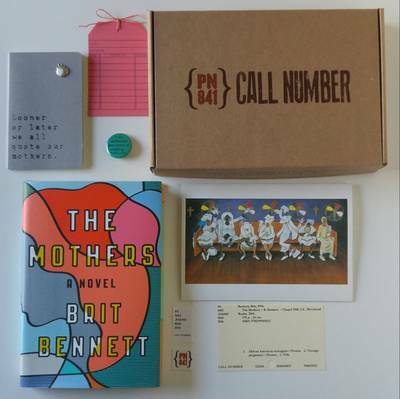 We've recommended this box to many people and have loaned many of the books we've received from Call Number to friends, especially this month as friends ask us for book recommendations to celebrate Black History Month. I teach English at the university level and, moving forward, I will include a story or two (or three) from Nana Kwame Adjei-Brenyah's *Friday Black* in any course I teach on American Literature. And Call Number introduced me to that stunning collection. We get excited every time an email notification comes that a box has shipped. Subscribe to this box. 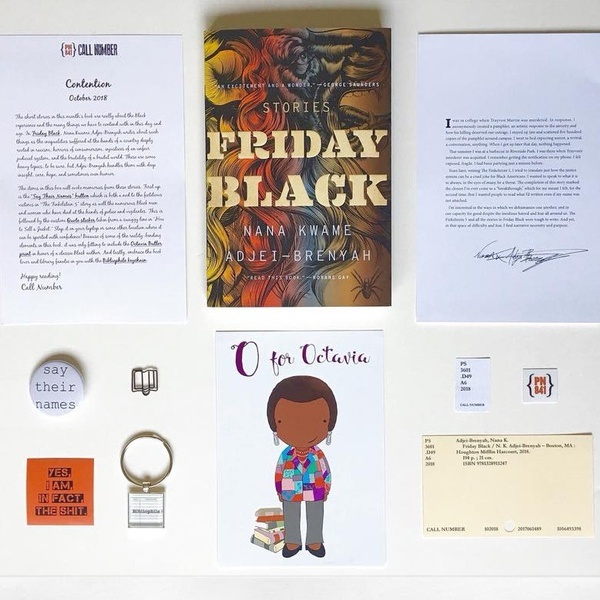 Features Friday Black, "Say Their Names" button, "Yes, I Am..." sticker, Bibliophile keychain, and Octavia Butler print. 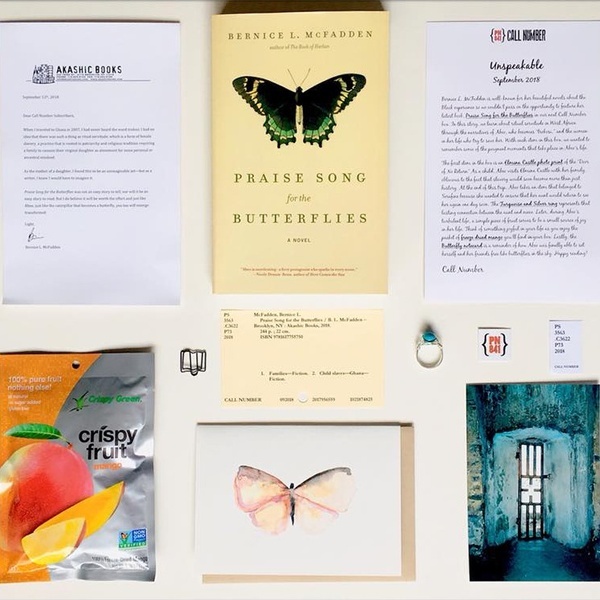 Features Praise Song for the Butterflies, Butterfly note card, Elmina Castle photo print, Silver Turquoise ring, and Crispy Fruit Mango. 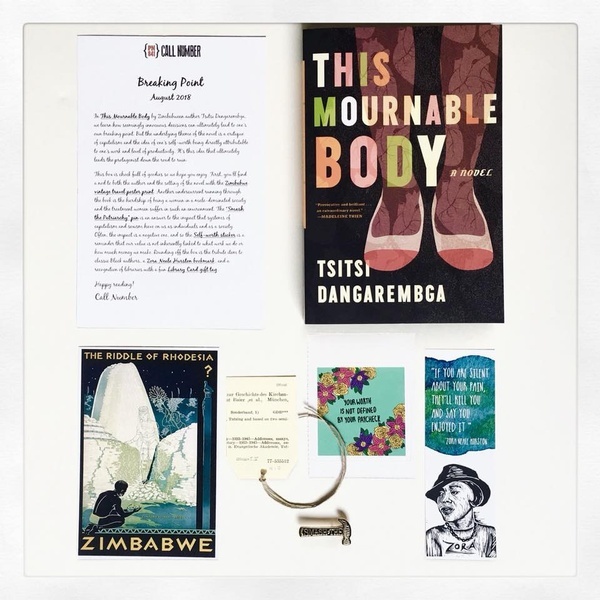 Features This Mournable Body, Patriarchy pin, Zimbabwe print, "You're Worth..." sticker, Zora Neale Hurston bookmark, and Library gift tag.